OK, let me get this straight: a 64-bit plugin that comes with a great playback engine, 1 GB of top-quality sounds, has a killer editing interface, and it’s free as well? Yes, it’s Alchemy Player, the free version of the excellent Alchemy virtual instrument. I seriously couldn’t believe this plugin when I tried it. But since I’ve gotten it I’ve been using it all the damn time, it’s that good. The only catch is that you have to register with Camel Audio in order to get it, but seriously, for this kind of quality that’s not much of an inconvenience… Just don’t even think about it – get this killer plugin now. Oh, and while you are at it, pick up the free CamelCrusher plugin as well. It’s a combo Distortion/Filter/Compressor that can add some serious nastiness to your mixes. And that’s always good by me. This week’s Freebie Friday features the amazing Togu Audio Line. I’ve been using these plugs for forever and a day, and they really are blisteringly good. TAL have been making FX and virtual synths for quite some time, with great solid basic sounds, and remarkable stability and features for free plugins – they were even fully 64-bit far in advance of most of their commercial competitors, so if you are running the 64-bit version of Studio One these will all still work flawlessly without requiring a bit-bridge. The first TAL plugin that attracted my attention was the TAL Bassline – a fairly perfect emulation of the classic Roland SH-101 analog monosynth. I used to have one of these back in the day, and it was damn fine bass synth; I wasn’t disappointed when I downloaded the TAL version, it pretty much nailed it right there. Also really noteworthy in the analog emulation stakes is the TAL-U-No-62. This is another great analog emulation, this time of the Roland Juno 60 – including the original’s famous Chorus section. It’s a great little synth, and there are tons of cool presets to download. Highly recommended. But the big daddy TAL has to be the TAL Noisemaker. Unlike the other synths, this isn’t an emulation of older hardware, it’s a completely new synth, and it’s the bomb. It follows the classic analog subtractive synthesis route, no flashy modern stuff, so it’s really easy to understand and program; and it sounds really good. It’s become one of my first go-to synths when I just want a good solid sound quick & easy. There are a ton more great plugins on the TAL site, including Vocoder, Reverb etc. so check them out. They are all free, but the author is asking for donations via PayPal – so if you like them, do show your appreciation, even if it’s only a couple of bucks! But now I’m back online, in a new office, and life is grand, as they say here in Ireland. 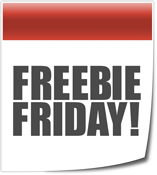 So on to this week’s Freebie Friday! Thanks to Music Connection Magazine for giving QMix a little time in the sun at NAMM! Check out this killer song and music video done by Hitherside. Studio One and the StudioLive mixer are featured, almost like bandmates. 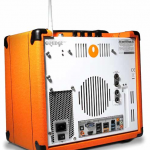 Studio One Orange Edition: Get Juiced! 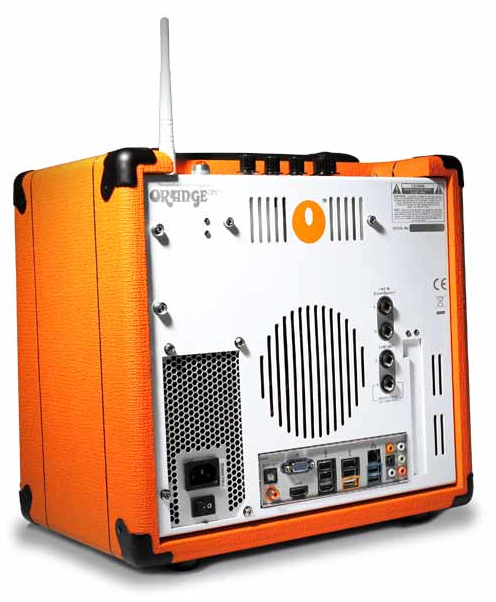 You may not have heard of Studio One Orange Edition until now. Why? Well, it’s exclusive. And it’s hidden inside an amp. Wait, what? Sure, you can put an amp in software through modeling, but you can’t put software an amp. Right? We’re flattered and honored that PreSonus Studio One was chosen to occupy a little bit of space on the included 500GB Seagate hard drive. Studio One Orange Edition is an upgrade from our more commonly-known Artist Edition, adding Amplitube support for all your tube-modeling needs (and beyond.) Of course, all those Amplitube-modeled amp tones can be routed to the main speakers on the OPC… you aren’t limited to using them in Studio One Orange Edition, they are suitable for performance as well! Check out this review from the kind folks over at Expert Reviews for more info. Got to the booth reasonably early, but Jonathan and a few of the others still beat me to it, since I’d been spending some time working on stuff for Exchange. Yep, if you’ve already updated to Studio One 2.0.4 you already have this, and damn it is mighty fine. We originally wanted this in the 2.0 release but it’s a pretty complex ecosystem, so in the end we held it back until it was ready. Am very happy it’s finally here, because I’ve been dying to tell you guys all about it. I think this thing is going to be a monster, it means the software now has basically unlimited content available. If you’ve looked in Exchange already you’ll see a couple of things I put together in my studio a while back and that I’ve been dying to release. Hopefully you guys will like them – if so, please do rate & review them on the Exchange web page, that’s going to become really important when there are thousands of things up there. This week it’s the turn of VST Classics. Some of you may know that myself and several other members of the Studio One team used to work at Steinberg back in the day, and helped develop and define the original shape of digital audio recording. I still remember being on stage at Frankfurt MusikMesse 15 years ago showing off the very first VST plugins – the Neon and Model-E synths, VB-1 virtual bass guitar, and the Karlette tape delay (named after Karl “Charlie” Steinberg). These plugins were pretty bleeding edge back then, and I still look back at them fondly. So imagine my surprise when Steinberg announced they were re-releasing new versions of them as free downloads! Yeah, they won’t win any awards for innovation now, but they still have a unique sound, so if you fancy a trip back to the dawn of digital audio to hear what we had to play with back then, now is your chance. The Model-E is still a decent emulation of the classic MiniMoog sound (the filter programming was done by industry veteran Marc Lindahl, who is also now at PreSonus working on some groovy new products as we speak), and it has a ton of great presets, including a bank from Wolfram Franke of Waldorf, one of my favourite synth programmers. Unfortunately in this re-released version for some reason I can only access the Hubertus Maas bank from the Model-E, although I can see all the preset banks listed in the Studio One browser. Not sure what’s happening there. If anyone can figure out a workaround let me know. Inside Home Recording Songwriting Contest! Win PreSonus Stuff! If you play your cards right, you could win a PreSonus AudioBox and a copy of our Studio One DAW for a song… literally! Our kind friends over at the Inside Home Recording podcast are celebrating their 100th episode with a songwriting contest. The winning entry will serve as IHR’s new theme song! There are 3 prize packages, and all told every flavor of the AudioBox family and Studio One are represented. What are you waiting for? Here’s the lawyer-placating official rules, and here’s the prize packages. GET SOME!